We’ll help you communicate your message to your audience. Every business needs to communicate in one way or another. Whether you need to develop sales letters, announcements, brochure or web copy, content written with consistency and according to an established style guide creates a tone and backs up the visual brand. We provide product names, tag lines, mission statements, business letters, web content, brochure content, print and blog articles and social media posts. We know how to drive a message home. We know how to use words and images. We know how to speak to your audience in a language they will understand. Copywriting is one of the most important parts of building a website. We write website copy not only for humans but for search engines as well. Utilizing specific search engine terms in addition to link building words and phrases blended with readable, informative and compelling content are a few of the essential points in composing effective website copy. Nationally published magazine articles on travel, luxury living, art, food and travel. 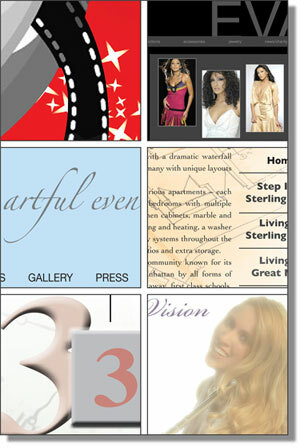 Click to view samples. On-page and off-page online articles on specific topics related to your product, service or industry are carefully written to attract and educate your potential readers and to “speak” to the search engines to drive traffic to your website. We develop a specific voice and tone for your business communications for sales letters, newsletters and executive messages and write to educate and appeal to your audience. We utilize professional writing skills and copyediting techniques to drive readership to a call to action, while clearly, concisely and consistently backing up your business brand.